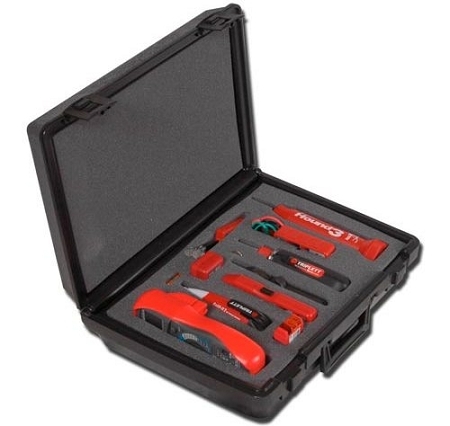 Whether working on an Ethernet connection, live circuitry, or when performing computer maintenance, any technician could make some real use out of a professional tool kit made for the job. From Triplett comes Electrical and Telecommunication Testing Kits, designed specifically to test and manage electrical equipment, low-voltage security systems, local area networks, and just perform routine maintenance on a wide range of applications. Each Triplett kit comes equipped with all the basic essentials needed to reliably test and troubleshoot the task at hand. 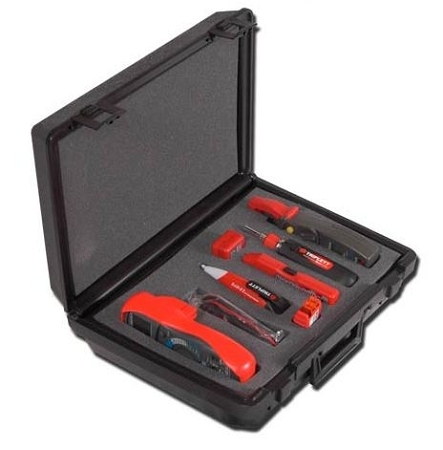 These collections also include durable plastic carrying cases, fitted with a custom foam insert, to provide safe storage space and convenient portability between job sites. 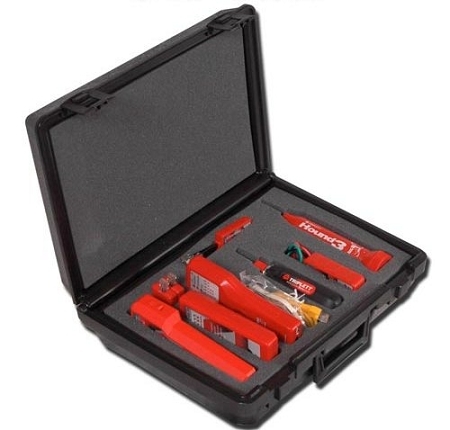 -The Electrical set is your basic test and troubleshoot kit for faulty wiring, receptacles, and circuit breakers. -For the more advanced stuff, and ideal for wire tracing, is the Security/Low-Voltage equipment. 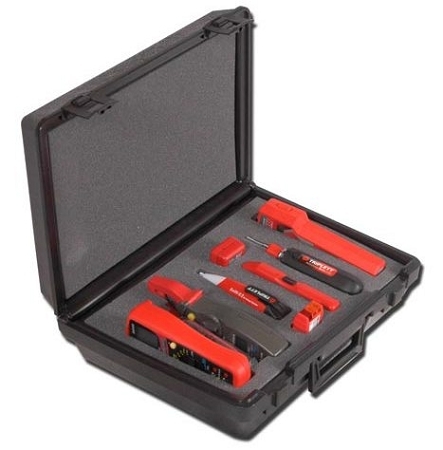 -For a unique balance of quality electrical and network testers, repair personnel will find the Maintenance bundle very helpful. -LANs aren’t too tricky to analyze, but the comprehensive set for evaluating telecommunications and the such is great for Category 5, Cat 5E, Cat6, and of course local area networks. For a list of the components included in these kits, please click the "Specifications" tab.